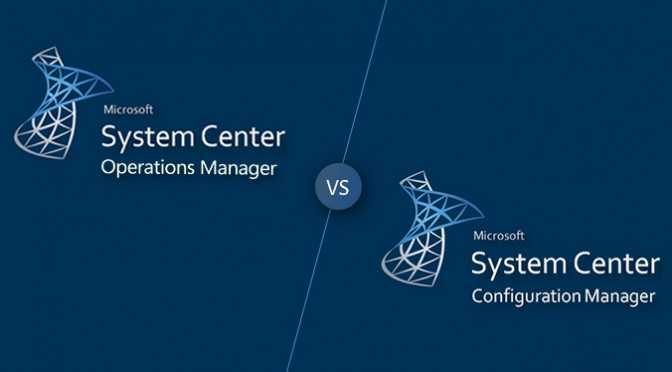 What is Microsoft SCOM and SCCM and how do they differentiate? At first glance, Microsoft’s ‘SCOM’ and ‘SCCM’ seem confusingly-named twins, but getting past their initial impression, you see that each have its own distinctive traits and roles. What is SCCM and what does it do? Microsoft’s SCCM, i.e. System Center Configuration Manager or else called “Configuration Manager” is a tool that offers administrators a way to manage all aspects of a business’ Windows-based servers, devices as well as desktops from a single hub. It features remote control, network protection, operating system deployment, pilot deployment, patch management and other various services. The Configuration Manager’s unified infrastructure gathers all the company’s virtual, physical and mobile clients under a single umbrella. Its included tools and resources give the administrators the power to control access with the cloud and on-site as well. The Admins can also offer end-users an access to the needed applications and devices without any worries regarding security being compromised. Why you should be informed about SCCM? System Center Configuration Manager’s cohesive design can assist you in various important tasks within a single platform like managing updates, protecting data, enforcing organizational compliance, monitoring system health, deploying software etc. You can configure alerts, and use the built-in Status System to be updated on the state of your System Center Configuration Manager deployment. It can also automate associated tasks to ensure they are done on schedule (set by you) and within the company’s policies and standards. What is SCOM and what does it do? System Center Operations Manager (SCOM) is a module in the Microsoft System Center suite of enterprise management software. In simple words, it is a monitoring tool that allows you a look into the health and performance of all your IT services in a single place. It deploys, configures, manages, monitors the services, operations, applications and devices of the various systems within an enterprise and can perform service recovery via a single management console. Simply known as “Operations Manager”, it can monitor the performance of both the clients and server applications. Plus, it can also provide you with info regarding the health of your services across both – cloud and data-center infrastructure. Why you should be informed about SCOM? System Center Operations Manager (SCOM), in a single interface, displays all the crucial pieces of your IT environment all at once. This includes security, health, status, performance and configuration. Little components of software called agents can be placed on each device in the company to observe activity. Within the operations manager, you have the power to control the events or alerts chosen to be reported back by the agents. The central System Center Operations Manager server will then store and organize the information. If needed you can even set the notifications to be forwarded to humans to address as necessary. SCOM’s tight integration with other MS servers and applications have made it a popular choice amongst the administrative professionals recently. It is easy to find management packs, i.e. monitoring instructions sets for most current MS operating systems, server applications and third party software. SCOM and SCCM are both just parts of a larger family of products that assist the admins to manage the large variety of applications and services that can be found in an organization. The SCCM or Configuration Manager can help you with ongoing tasks related to maintaining the infrastructure security and keeping it updated. Meanwhile, SCOM or Operations Manager monitors the services and devices and then shares the information regarding them to you as per your requirement. SCOM and SCCM are different, yet complementary components of a safe and productive IT infrastructure.